Senate Majority Leader Thomas K. Norment, Jr.
Parents and families have the primary responsibility of teaching their children values and morals about human sexuality, not school administrators. 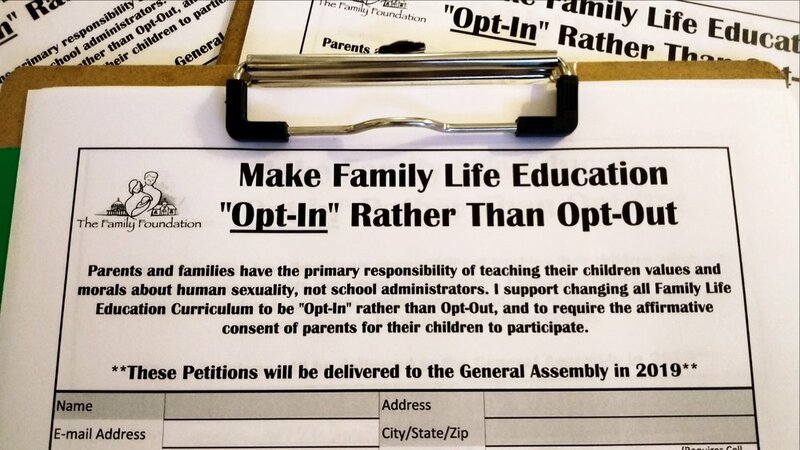 I support changing all Family Life Education curriculum to be "Opt-In" rather than "Opt-Out." Family Life Educators should be required to obtain written permission from parents before teaching their children about sensitive sexual topics. I ask you, as leaders of your respective bodies, to do all that is in your power leading up to and during the 2019 General Assembly session to encourage passage of legislation that will require the affirmative consent of parents before their children are exposed to any Family Life Education curriculum. Thank you! We appreciate your willingness to stand and be counted in this battle to protect the privacy of our children and grandchildren. Please share this petition with your family and friends today. Get your family and friends to support the "FLE Opt In" bill today.